Fresh off his, let’s go with “brave,” nudie debut in Icelandic musicians Sigur Rós’s latest music video, Shia LaBeouf is ready to become a Nyphomaniac. The easy-to-get-along-with director Lars von Trier cast “The Beef” in his latest controversial project, which will also include Charlotte Gainsbourg (of course) and Nicole Kidman. It’s everything America has been clamoring for since Holes. Immediately following a namedrop in the most recent episode of our Movieha! podcast (movieha.libsyn.com), Alf just got a deal at Sony. The guy who unleashed whatever you want to call the recent live-action Smurfs movie is looking to make another part animated endeavor starring one Gordon Shumway. 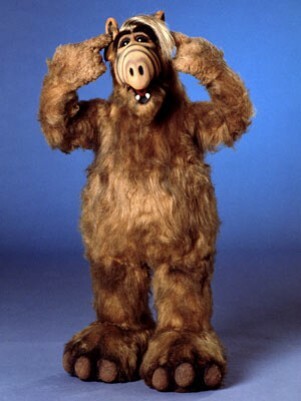 Considering that part of Alf’s charm was his foamy costume, one can only hope they somehow convince the studio to go the Ted route and unleash an R-rated extravaganza full of jokes about how he eats cats. In the wake of Joss Whedon reupping as writer/director of The Avengers 2, DC Comics and Warner Bros must feel like the kid picked last at gym class. So they tried to flail about and wave their hands by announcing they were courting directors for The Justice League movie. The two names they floated? David Yates, director of the last few Harry Potter films, and Ben Affleck, former life partner of J. Lo and Matt Damon. Rumor has it, Affleck already said no, leaving it up to Yates to get fanboys excited. Good luck with that, Davey.